A CHILD and a person in their 60s has been taken to Bundaberg Hospital following a crash on the intersection of Hummock and Elliot Heads Rds. Emergency services attended the scene of the collision between a semi trailer and a blue station wagon in Windermere at 11.20am. 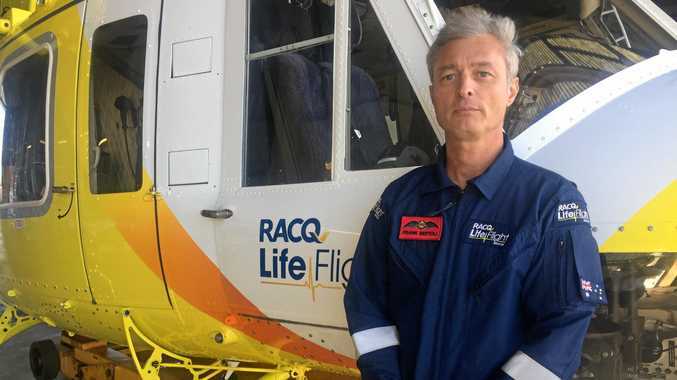 Initial reports suggested a person was trapped in the car, which rolled before landing on it's wheels in a ditch on the side of road, but a Queensland Ambulance spokesman later confirmed no one needed to be extracted. 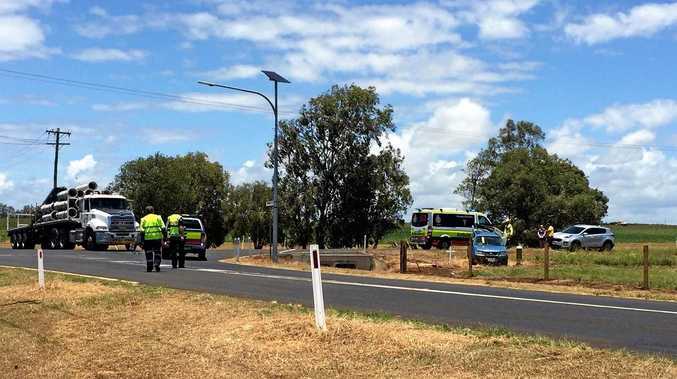 The child, believed to be seven years old, received minor head injuries and was taken to Bundaberg Hospital along with the person in their 60s, who had sustained no injuries but was admitted for observation. The semi trailer was carrying large pipes at the time of the incident. Lanes were blocked in all directions while emergency services attended the incident, with the truck stopped halfway through the intersection. Two ambulance crews, a critical care paramedic, a fire utility vehicle and one police car attended the scene. The incident happened at the same intersection where two people lost their lives in a horror smash in March 2014. The vehicle which rolled in today's incident came to a stop just inches away from a cross erected at the scene.